Council Members serve many areas in Iowa. Click on the area links to the right, the map above, or scroll down to find help in your area. Sioux City Area: Le Mars, Spencer, Cherokee, and surrounding areas. Council Bluffs Area: Council Bluffs, Red Oak, Shenandoah, and surrounding areas. 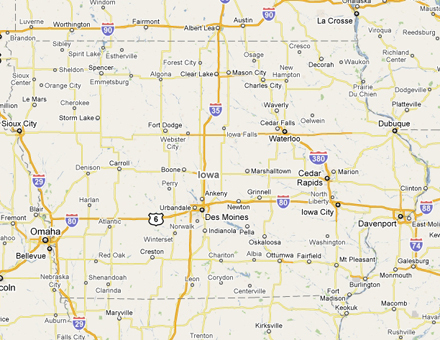 Des Moines Area: Des Moines, Indianola, Ankeny, Boone, Ames, and surrounding areas. Cedar Falls / Waterloo Area: New Hampton, Waverly, Waterloo, Cedar Falls, and surrounding areas. Cedar Rapids / Iowa City Area: Cedar Rapids, Iowa City, and surrounding areas. Dubuque Area: Asbury, Dyersville, Cascade, Dubuque, and surrounding areas. Quad Cities Area: Moline, Rock Island, Davenport, Bettendorf, and surrounding areas. We can provide you contact with various elder care services in the Sioux City Area. Although this area is temporarily without a member to assist you we can still help you solve any concerns or problems you may have. Please contact the Iowa Care Planning Council by clicking on the link below. We can provide you contact with various elder care services in the Council Bluffs Area. Although this area is temporarily without a member to assist you we can still help you solve any concerns or problems you may have. Please contact the Iowa Care Planning Council by clicking on the link below. We can provide you contact with various elder care services in the Des Moines Area. Although this area is temporarily without a member to assist you we can still help you solve any concerns or problems you may have. Please contact the Iowa Care Planning Council by clicking on the link below. We can provide you contact with various elder care services in the Cedar Falls / Waterloo Area. Although this area is temporarily without a member to assist you we can still help you solve any concerns or problems you may have. Please contact the Iowa Care Planning Council by clicking on the link below. We can provide you contact with various elder care services in the Cedar Rapids / Iowa City Area. Although this area is temporarily without a member to assist you we can still help you solve any concerns or problems you may have. Please contact the Iowa Care Planning Council by clicking on the link below. We can provide you contact with various elder care services in the Dubuque Area. Although this area is temporarily without a member to assist you we can still help you solve any concerns or problems you may have. Please contact the Iowa Care Planning Council by clicking on the link below. We can provide you contact with various elder care services in the Quad Cities Area. Although this area is temporarily without a member to assist you we can still help you solve any concerns or problems you may have. Please contact the Iowa Care Planning Council by clicking on the link below.